No matter how great your web design and content is, there’s one little detail that could ruin your website’s overall user experience: your microcopy. These are the labels on your form fields and call to action buttons, the text in error pages or alerts, and the lines of instructional text that appear to guide your users through a process. Many website owners forget about how important these little bits of text are, often forgetting to work on them until the last minute. Bad microcopy confuses and frustrates your users, and could make you lose out on a conversion or sale. Writing microcopy isn’t rocket science, but it does require more effort than you might realize. Here are a few tips to help you or your copywriters create better, more user-friendly microcopy. Just because you and your team think your microcopy is easy to understand doesn’t mean your users will feel the same way. What may be simple for you may be confusing or complicated for them. You can’t create a good user experience without getting to know your actual users. Usability testing is an essential part of web design and development, and you should use it as an opportunity to put together an accurate profile of your average user. Have users test your website and see how they react to the initial designs and copy. Ask them to describe their experience honestly, or encourage them to behave naturally as you observe them in person. You also need to consider your users’ context when creating your microcopy. Determine how they got to your page and what their state of mind is when they start reading your microcopy. Did they click on one of your Google ads? Did they type in the wrong email address or password? Without context, your microcopy can confuse your users and make them abandon the action you wanted them to take. In the example above, Gmail’s error message microcopy changes based on the mistake the user committed. This provides better context as it tells users what they did wrong, and even provides a link to a help page if they need more assistance. Microcopy can give you opportunities to highlight your brand’s personality, but it’s easy to get carried away. Think carefully before injecting your brand’s voice into your microcopy. You can use creative microcopy on sections of your site that show the results of user actions, like 404 pages, reward notifications, and confirmation messages. Use straightforward copy on parts of your website that your visitors will use to initially perform an action, such as navigation and form labels, menu options, instructional text, and buttons. 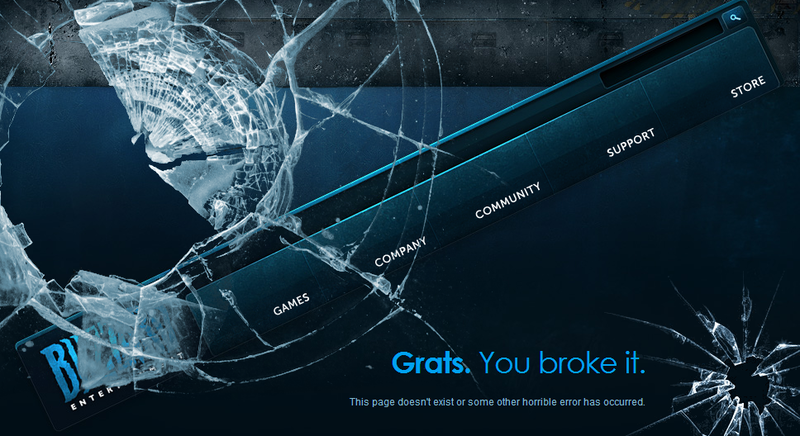 Blizzard’s 404 page is not only visually creative – it uses a language their website’s visitors are familiar with. “Grats” is a common shortcut for “congratulations” that their players often use in-game. You need to really pay attention to details when you create a website. Forgetting about little things like your microcopy can have a huge effect on usability and customer retention. Talk to us and we’ll iron out all your website’s details to guarantee a successful launch.